Bad credit. Those two words can feel like a badge of dishonor. Like a scarlet letter, alerting all you encounter that you are a financial risk. Whether it’s the result of your own financial mismanagement – poor personal decisions with respect to paying bills and clearing off debt – or the fallout from some larger financial catastrophe like a recession, mass layoff, or loss of income due to health issues, bad credit can feel like a universal brush stroke painting you in the worst light. It can be hard to right the wrong financial course without reliable transportation. But trying to buy a car with bad credit can feel daunting – if not downright impossible. The good news is, you do have options. Moreover, you’re not alone. Bad credit is more common than you’d think. Let’s run the numbers and take you through a few quick lessons on how you can buy a car with bad credit. As with most things, it’s always a good idea to organize your strategy ahead of time and sketch out a very clear game plan before even thinking about your potential purchase. In this case, you’re going to want to address your current credit situation and that means arming yourself with the knowledge of what that situation actually is. Some consumers just assume that their credit is worse than it really is, which puts them at a serious disadvantage when approaching lenders. You don’t want to get a raw deal simply because you think that’s all you can get. The first step of your preparation should involve a little investigation, specifically, you’ll want to find out what your credit score is and what in your credit history has resulted in that figure. In other words, it’s not enough to just know your score. Once you’ve reviewed your credit history and have collected your annual free copy of your credit score, courtesy of the major credit reporting agencies, like Experian, Equifax, or TransUnion, you can start planning the shopping around phase of your potential purchase. Word to the wise, it’s a great idea to start planning three months prior to when you intend to make your purchase. Doing so allows you to address any credit report issues, and take your time shopping for the best financing deal possible. Rather than walk in cold, make sure you know what kind of loan you can expect, as far as the interest rate is concerned. Knowing your credit score will shed some light on this and help you brace for what will likely be offers attached to much higher interest rates than those for consumers with good credit. Although these are estimates, in general, consumers with good credit can expect interest rates between 4% – 5%, while consumers with bad or subprime credit scores are likely going to be up against 10% – 13% rates. In some cases, that figure could go even higher. Shop around, the way you intend to shop around for a car. Approach various lenders from traditional banks and credit unions, to smaller lenders, including those directly at the dealership. A good piece of advice is to start by consulting those lenders with whom you currently have a relationship. Maybe it’s the bank where you have a checking or savings account, or a credit union that extended your home equity line of credit. Whatever the connection, these establishments know you and will have a more complete picture of your financial history and the obstacles that brought you to the bad credit scene in the first place. In other words, they might be more forgiving, depending on the circumstances, particularly if those circumstances were beyond your control. If all else fails and you are unable to secure a loan on your own, call for backup in the form of a co-signer. A co-signer represents the security that lenders are looking for, with respect to paying off the loan in a timely, consistent manner. A few things to keep in mind…If, in the three months you’ve allotted for planning this purchase, you’ve successfully paid bills on time, perhaps even making a significant dent in some debt, you should have repaired enough of the damage to secure your own loan. If, however, time is of the essence, or you just couldn’t make as much positive progress as was necessary, then a co-signer might be the life preserver you need. At least for now. Bear in mind, your cosigner will need to come to the table with stellar credit. He or she cannot share your credit predicament – one of those two wrongs don’t make a right scenarios. Provided he or she possesses excellent credit, the lender will approve the loan. 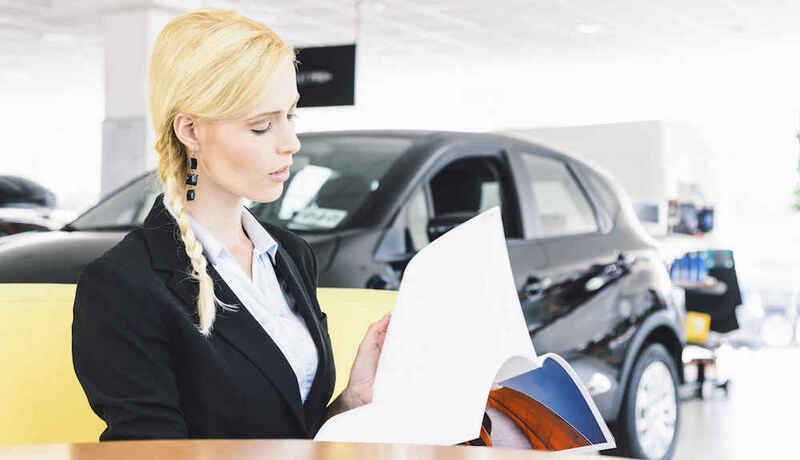 The idea here is that, while you are on the hook for the payments – this is your car, and you are going to rebuild your credit by making timely loan payments – the co-signer is there in the event that something goes wrong. If so, then he or she will be expected to make the payments on your behalf. It’s not hard to imagine where this situation might get tricky. Only agree to a co-signer if you know you are able to make the payments, but just need the support at time of signing. Making your payments on time this time will help you progress to the point where you will no longer need a co-signer when shopping for your next car. Educate yourself on your personal financial situation, and shop the options available to you before pursuing your next car purchase. A well-structured plan will help and between the two, you should find yourself behind the wheel and on the road to financial recovery.